I love my little red crock pots. I’ve been cooking my baked potatoes in my crock pot for the last year. It was a great discovery for me as I can throw them in early in the afternoon while the kids are napping and know that they will get done in time for dinner. And I don’t have to heat up the house by turning the oven on. And my latest discovery is mashed potatoes. 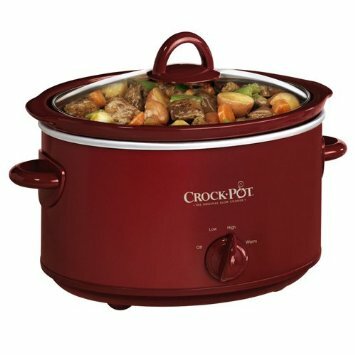 Sounds strange for crock pot cooking I know, but it works great and I find it more convenient than using the stove. Tips and directions are on the Cookstove. Click on the link and then scroll down. This entry was posted in Cooking, Crock Pot Cooking, Food, Kitchen, Recipes. Bookmark the permalink.